Dethatching is the mechanical removal of the layer of cuttings and stems that build up between green blades and soil in a lawn. This layer of material called “thatch” accumulates in your lawn when air, water, and light cannot reach the surface of the soil. In order to repair your lawn it is necessary to remove the thatch. After dethatching, your lawn will look bare briefly, but this will lead to new and healthy grass growth. An alternative to the traditional dethatching method which can be exhausting is using Liquid Thatch Remover. This dethatching process takes only 4 minutes to spray the contents of the bottle over the lawn space, which is much easier and less work than the typical raking method. Liquid Thatch Remover turns thatch into a rich, organic fertilizer, and is environmentally friendly and involves o chemicals, fertilizers, herbicides or pesticides. This product treats up to 5,000 square feet and is used by spraying the product directly on the lawn space when the ground temperature is at least 45 degrees for best results. Use the product three times a year, and the need for power raking will be eliminated. – Preserves actively growing grass. – Allows nutrients and water to easily reach the soil and grass roots. – Discourages insect and disease problems. – Allows fertilizer applications to be more effective. – Improves appearance and health of the lawn. Read more about fertilizing, mowing, watering needs, and other lawn care tips for your Zoysia lawn. Grasscycling is a simple and “green” way to nourish your Zoysia lawn. This process is the natural recycling of grass by leaving clippings on the lawn when mowing. Grass clippings quickly decompose, returning valuable nutrients to the soil to nourish your Zoysia lawn. – No bagging or raking of the lawn required. – Plastic bags full of lawn clippings don’t end up in the landfill. 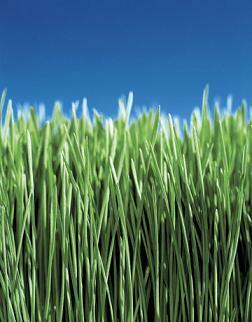 – Clippings help your Zoysia lawn reach its fertilizing needs, reducing both time and money spent fertilizing. – Grasscycling reduces the need for fertilizer, pesticides and herbicides, reducing pollution to the environment and chemicals in your yard. – Does not cause thatch, making your lawn more durable. 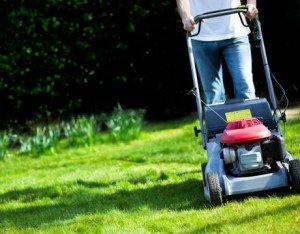 – Cut up to 1/3 of the leaf surface while mowing, but no more. – Mow when the lawn is dry. – Mow using a sharp mower blade. Dull blades bruise and tear at grass, leading to a ragged tip on the top of the blade. – Aerate your lawn. This will open up the soil and increase the movement of water, fertilizer, and air by speeding up decomposition of the grass clippings and enhancing deep root growth. – Follow the lawn care schedule for your type of Zoysia grass. Grasscycling is environmentally responsible, and an opportunity for homeowners to reduce their waste while saving both time and energy. For more information about what you can do to protect the environment while caring for your Zoysia lawn, learn about organic lawn care. One of the many benefits of growing a Zoysia lawn is its ability to easily choke out weeds. 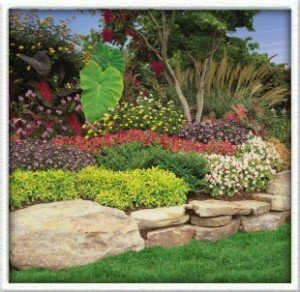 Zoysia is even considered to be a “weed fighter” grass, keeping your lawn healthy lush and weed free. How does this work? Zoysia grows with a horizontal stem called a rootstalk (stolons). This growth pattern allows Zoysia to grow and spread over an area, overgrowing any weeds or unwanted crab grasses. The thick, firm, and dense turf prevents new weeds from sprouting and takes over existing weed growth. 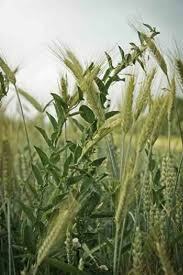 The leaves of the grass grow freely in the summer, and after a few mowings can crowd out weeds all together. Because of this, less herbicide is needed to maintain a plush and green Zoysia lawn. Should a weed happen to pop up in your Amazoy lawn, read more about on the spot weed removal. We hope you enjoy your beautiful Zoysia lawn!